I believe we are living in a “Give First Economy.” What I mean by this (and I talk about it more here) is that the best and most successful brands, salespeople, entrepreneurs, etc. provide value up front. They “give” before they go for the sale. This is great for people who want to “do business right,” because they are poised to do this anyway. They want to help. But there is one mistake that I see people make all of the time around this concept. They want to say “thank you,” but they mix it up. Let me explain. I got a box in the mail the other day from one of our suppliers. They are a great company, and we do a decent amount of business with them. The box said it had a gift inside, so I was excited to break it open. Let’s face it, it’s always nice to get a “thank you gift.” However, when I opened the package, there was a sales flyer and samples. Don’t get me wrong. They were nice samples. They even had good information on the sales flyer. It was a quality sales piece…and it got me to open the box. But it was NOT a thank you gift. I immediately felt duped. I was a disappointed. I went from being excited to being (mildly) annoyed. It was not the most egregious mistake in the world. It’s not like I won’t forgive them. But I guarantee you it was not what they wanted me to feel (at least I hope not). So just a quick word of advice for Succeeding in the Give First Economy; don’t mix up appreciation and sales. If you want to say “thank you,” then just do that. Show the appreciation. Be sincere. Give first. Don’t work in a sales pitch. You are smart enough to see through that…and so are your customers and prospects. It takes away from the original intent. It also decreases the likelihood that I open the next package. Make sure you never miss an update! Sign up for a VIP newsletter here. It’s not a sales trap…just a place where we share our content (and what’s going on at HMC). Tis the season for holiday parties! Your reaction to that statement probably reflects a few factors. First, it might depend on how you feel about getting together in public. It also might depend on how you feel about the holidays. But maybe the most powerful indicator about how you feel about holiday parties is what kind of festivities you have been to in the past. Last night I attended one that was great. And it got me to thinking…what makes a great holiday event? Here is a quick (and likely incomplete) list. 1. Socialization: I love it when I get the opportunity to meet and greet with great people. The holidays can be a time when you are so caught up getting ready for them, that you don’t take time to enjoy them. The best parties allow the time for you to connect with good people. 2. 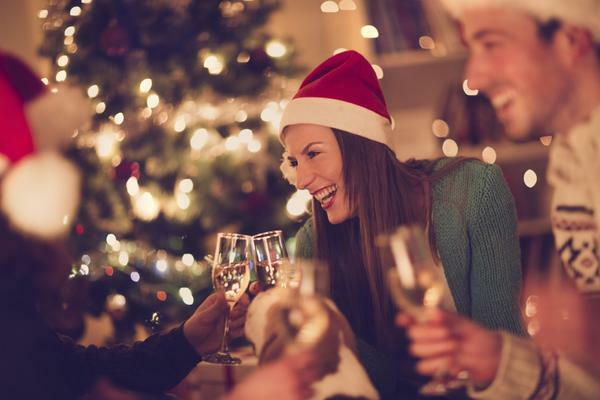 Food And Drink: Whether it’s finger foods or a full meal, then best holiday gatherings offer the chance to enjoy something good to eat and drink. 3. Laughter: For me, I love any event when I get a chance to laugh. Whether you create that opportunity for your guests, or it happens naturally, laughter is the best holiday song. Create an atmosphere where everyone can have some fun. 4. 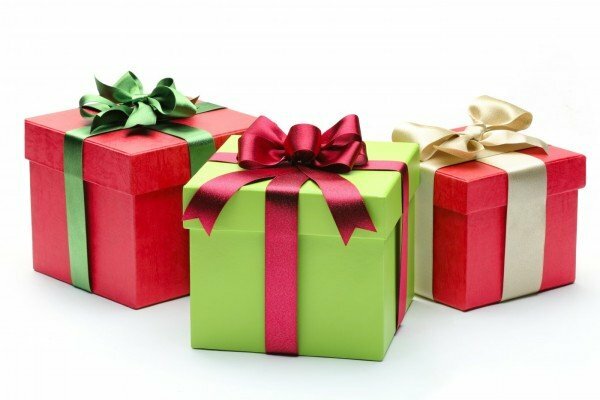 Appreciation: The holiday season is a great time to show your gratitude. Whether it’s for your team or for your customers (or both), a cool holiday party gives you the chance to say “thank you.” Last night I attended a party where the leaders got up and personally expressed gratitude over the microphone, then they gave each attendee a gift on the way out. It was simple and classy. So if you are planning a holiday event, those are a few simple keys to keep in mind. But as I said, this list is likely woefully incomplete. What makes holiday events for you? Let us know! Make sure you never miss an update! It’s time to become a VIP! Sign up for our VIP list here. One of the reasons I love Delivering Marketing Joy is, I not only get to ask some of the smartest people in business a few questions each week, but they get to ask me one. We structure it this way so it’s more of a discussion. (You can find the latest Delivering Marketing Joy here). I love this because these thoughtful leaders often ask me questions that I have not answered before. Or, more likely, they ask them in different ways that make me think differently. This happened to today. The show we recorded will not air for a few weeks, but the question is incredibly timely, so I wanted to share it here. 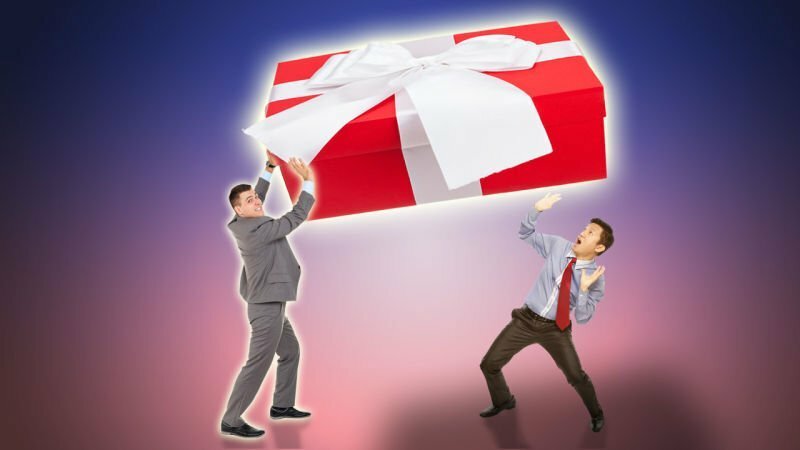 I was asked: “What are 3 things to think about when getting a corporate branded gift to make sure it is on the mark?” Though I get asked about corporate gifts a lot, this was a different way of looking at it. So I wanted to share my answer. Oh…and of course you need to think about how much you want to spend…and how many you want to give. But so many people don’t go any deeper than that! So here is a little different thought process. Many of us have heard the term “Who? What? Where?” These are the questions you need to answer when telling a story. They are also the things you want your clients to remember…right? But when creating a corporate gift you want to answer “Who? Where? What?” Same questions, but in a specifically different order. Who: When creating the perfect gift, you want to think hard about WHO you are giving it to? What do they look like? What are they interested in? Are they predominately female, young, old, techy, office, etc. Who are they really? Where: Next I like to consider WHERE I would like them to enjoy the gift. Do I want to occupy space on their desk? Are they in the office (and do they need to share)? Do I want them to use these in their home? Where do I want them to enjoy the gift? What: Only after I get the first two figured out do I roll to WHAT I want to give them. Once I know the WHO and the WHERE, this can come together quickly. If they are a young tech-friendly crowd and I want them to use them in the office, maybe I like the idea of bluetooth headphones. You get the idea. 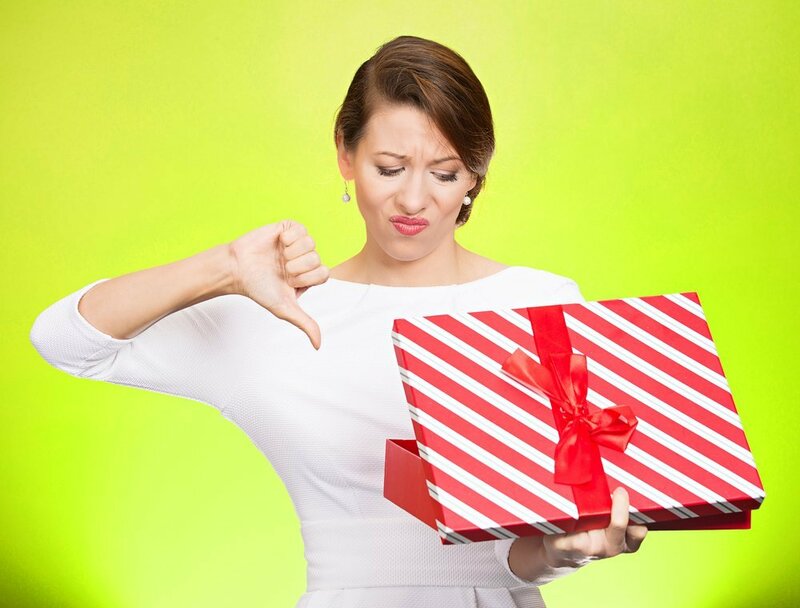 Go through this process and you might find just the perfect gift that they might NOT get for themselves. P.S. If you want a few cool last minute ideas, you might want to check this out. Make sure you never miss an update! Sign up for our VIP newsletter. Each week we send one email with all of the content for the week so you can catch up! Sign up here. I was meeting with a client the other day and we were discussing year end gifts for some of her VIP customers. She said she wanted to get them “something cool,” and then she added, “really I want to get them something they would love…but they would not buy for themselves.” Yes! That’s perfect. That a the definition of a great gift. It’s something they would love…but not buy for themselves! With that challenge in mind, I thought I would share a few that I think fit the bill! Urban Peak Gift Set: I love this. As a matter of fact, it’s the gift I got our team last year. Why? Because it fits everyone. It’s functional. It’s got wow factor. And with a full color imprint, you have great branding opportunities. This gift includes the Urban Peak cooler (great size) and 3 (count ’em 3) great vacuum drinkware pieces. Get more information here. Mission Pack: This is still my go to backpack. Designed by people who really travel, this one has all the bells and whistles. And, get this, with a minimum of 1 piece, you can personalize this too! Check it out here. Sonosphere Bluetooth Speaker: This is a super cool gift with great sound. The Sonosphere is a beautiful speaker and includes a full color imprint. Again, this is the kind of piece where you can really tell your story or show your appreciation. In addition, this is another piece with a one piece minimum…so you can personalize this like an award. Oh…and I love the packaging of this piece. If you want to make your VIP’s feel special, then this should be on the list! Yes…Beer: As I mentioned in this recent blog, we are doing Private Label Craft Beer. This is truly a one of a kind gift. For more information on it, check this post out. Finally, let’s talk about Brands! North Face Dry Vent Rain Jacket: You may not know this, but we able to get you the best brands in the business as well. This is just one example of a stylish jacket you can find in retail…and you can co-brand with now. This is a great jacket from North Face. And if you are interested in other brands, like Under Armour, Columbia, Coleman, Dri-Duck, and so much more…we have your back. These are all cool gifts that they will be really fired up to get…but they probably won’t go out and by. So they are sure to delight! As always, now is a great time to make sure you never miss an update. Join our VIP list here. Okay, I am guilty. I love beer. And if you read this blog on any regular basis, you know that I love to “Deliver Marketing Joy!” All of us at Hasseman Marketing love to provide amazing branded merchandise for our customers and friends. As we often say, that moment when you get that cool box of swag is a little bit like Christmas morning. So we thought…why can’t we combine the two? That is why we are partnering with Hasseman Brewing (yes, we know them really well) to offer our clients Private Label Craft Beer. What does this mean? It simply means that you can get bottles of high quality craft beer with your organization (or event) logo on it! We feel like this is a great, one of a kind gift idea. 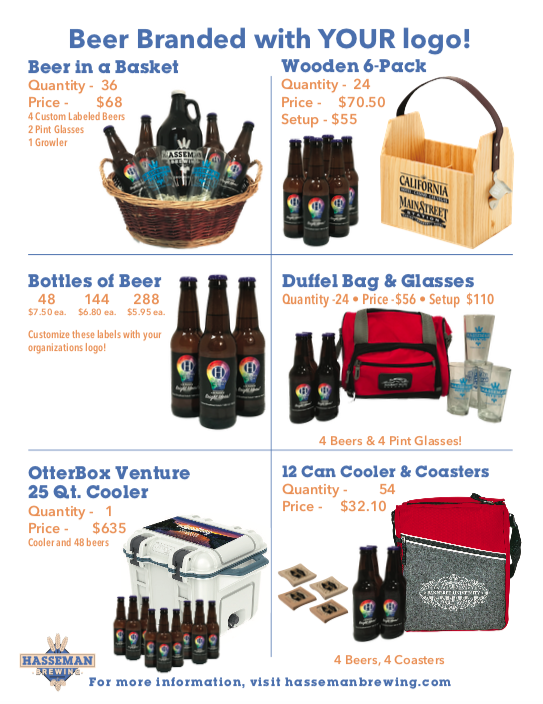 And of course, since we are in the Branded Merchandise business, you can combine the personalized beer with branded coolers, mugs and more! Check out the flyer below to get your wheels turning! If you are interested in more information, now is the perfect time! Please contact us here for more information. Oh…sorry for the pure sales blog post. We are just excited! Make sure you never miss an update! Sign up for our VIP newsletter below.